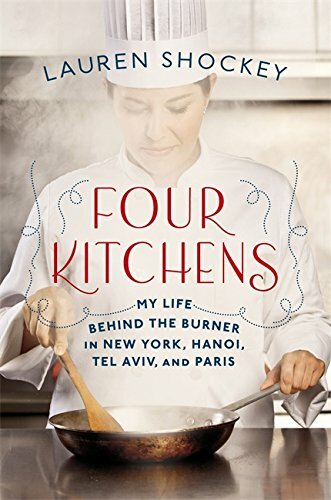 [PDF] Four Kitchens: My Life Behind the Burner in New York, Hanoi, Tel Aviv, and Paris | Free eBooks Download - EBOOKEE! Description: At the French Culinary Institute, Lauren Shockey learned to salt food properly, cook fearlessly over high heat, and knock back beers like a pro. But she also discovered that her real culinary education wouldn't begin until she actually worked in a restaurant. After a somewhat disappointing apprenticeship in the French provinces, Shockey hatched a plan for her dream year: to apprentice in four high-end restaurants around the world. She started in her hometown of New York City under the famed chef Wylie Dufresne at the molecular gastronomy hotspot wd-50, then traveled to Vietnam, Israel, and back to France. From the ribald kitchen humor to fiery-tempered workers to tasks ranging from the mundane (mincing cases of shallots) to the extraordinary (cooking seafood on the line), Shockey shows us what really happens behind the scenes in haute cuisine, and includes original recipes integrating the techniques and flavors she learned along the way. With the dramatic backdrop of restaurant life, readers will be delighted by the adventures of a bright and restless young woman looking for her place in the world. No comments for "[PDF] Four Kitchens: My Life Behind the Burner in New York, Hanoi, Tel Aviv, and Paris".